Championship course playing in the woods over hilly terrain. Two tees and two permanent baskets per hole. Check in at main office to get a wristband and vehicle pass. Campground closed after 1st weekend in Oct. Enter through Ridge Road. $5/person/day. Large signs indicate this campground on State Hwy 22. 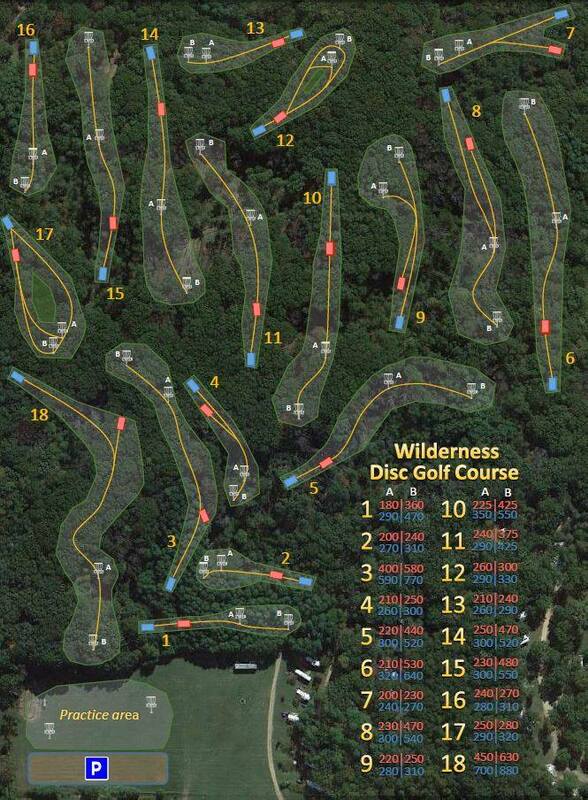 Have you played at Wilderness Disc Golf Course? Be the first person to review this course!